It's a tactic laid out in The Game Theorist's Guide to Parenting, the book by Paul Raeburn and Kevin Zollman that also gave us the brilliant "I Cut, You Pick" strategy for dividing stuff between kids. For anything that isn't divisible, have your kids "bid" for it with chores, and whoever wants it most gets it. Start by announcing some easy chore: Picking up one toy. All who would be willing to pick up a toy in order to get the L.L. Bean sleeping bag should raise their hands. Every hand goes up — that sleeping bag is valuable! Now make the chore more onerous: Cleaning the whole room, perhaps. See if anyone drops out. Keep going and going with more loathsome chores until only one child remains. Not only does this guarantee that the child who cleans the most is the one who wants the prize the most, but it also gets some chores done at the same time. Win-win. And, now that you're auctioning off everything in the house for chores, you have only one thing left to do: Sit back and count your loot. The authors note that the chore auction works best with kids who have similar abilities — older kids can manage more chores than younger ones and therefore have the upper hand. 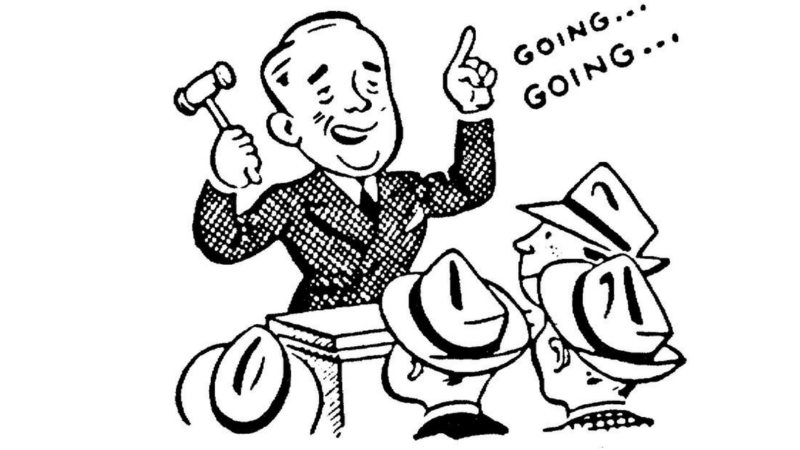 Kids can also bid with other things: Pocket money, pushups, back rubs for Mum, whatever. In the end, it helps your children think about what they value, and hey, your house may be cleaner because of it.